Hi, I’m Jenny, a personal trainer and nutrition professional specializing in women. 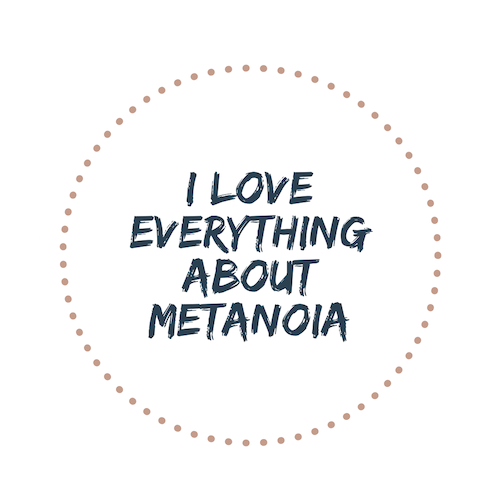 I own Metanoia, a private studio in Downtown Lee's Summit, and work alongside motivated women towards an upleveled way of living. I believe essential pillars must be present within our wellness journey to achieve success and fulfillment: intentional movement, intentional nutrition, a solid relationship with nature, and community. Metanoia brings these pillars to the naturally minded woman within the community. Yep, I have a resume full of certifications and specializations. But honestly, I’m just a simple chic who genuinely cares about helping other women become the best versions of themselves, so they have more happiness, confidence, longevity, and fulfillment. Instead of focusing on vanity, numbers, or those pesky ten pounds, I’ll show you how to create a consistent health-focused lifestyle through finding themes, education, and establishing habits - empowering you to embrace and work with your body. I don’t believe in templated paths and programs. Rather, I get excited about all that makes you…YOU! Together, clients and I focus on their needs and design a path to fit their lifestyle, goals, body, and budget. I wouldn’t have it any other way. Metanoia offers a special opportunity to find support from other like-minded women on a similar wellness journey. We regularly meet for unique classes and community events. We also love introducing women to our Nourish Nook with Elle & Em Boutique.